The founder and president of the Bellwether Foundation is Danielle (Dani) Merrill. When she was a little girl she had a dog named Bell. This dog was a constant companion and friend. Many years later when she received a dog she thought to train as a service dog, she wondered what to name it. She went to the thesaurus and looked up words like help, aide and guide. One of the words she found was “bellwether”. This word means “an example to follow”. The shepherd of a flock of sheep would put a bell on the lead sheep and it was called the “bellwether sheep”. It seemed a natural choice. Bellwether, full of life and love, was not suitable as a service dog but she remained a constant companion until her passing in March 2004. She was 12 years old. In the years that followed, Dani recognized the area veterinarians were taking in homeless animals, caring for them and then finding them good homes. She wanted to help. Dani formed a private foundation called “The Bellwether Foundation”. She asked her family and friends to contribute to an endowment for the purpose of helping with the costs of taking care of homeless animals. The money earned from the investments paid for their treatment, the veterinarians contributed their time and many animals found good homes. The mission statement for the foundation is “To encourage relationships between humans and animals and to provide compassionate care to those who have no human companions.” One of the goals of the foundation is to train dogs to become service dogs for people with mobility disabilities. Dani wanted to build a training center to train these dogs and their future owners. It became apparent there was a need to house the animals the veterinarians were taking in. Instead of building just the training center, Dani decided to build a shelter as well. She realized many of the dogs in the shelter would not only make good companions, but could also make wonderful service dogs. 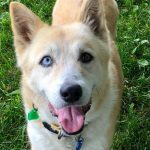 Today, the shelter, Bellwether Harbor, has the ability to house approximately 12 dogs and 35-40 cats. 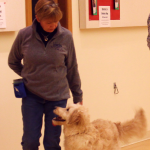 The training room is used for training classes as well as providing space to exercise the dogs and cats. In the future dogs will be trained to help people with disabilities. 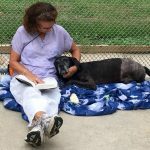 Since 1994, Bellwether and the Fremont Animal Hospital have been improving the lives of homeless animals. The lives of the people adopting these animals have been enhanced as well.